Our client is a site operator of one of the most popular ski resorts in Europe, the northern part of Finland. Skiers were flocked to the ski resort across Europe due to the Easter holidays and prime weather conditions for winter sports. Our client heard constant abnormal sounds from a ski elevator just before the beginning of the best skiing season. In case of the elevator system breaks down, skiers might be left stuck in mid-air and this would bring economic loss and damage to the resort’s reputation. The ski resort operator contacted Nome’s experts. The task of the condition monitoring is to prevent this scenario happen. The nmas-Simple hardware with remote monitoring and analysis was particularly well suited to the situation. The hardware was sent to the customer by mail and was installed by the customer immediately due to the urgency. The system was designed for easy setup and use in the harsh environment. Photography of sensors ensured they were correctly positioned. 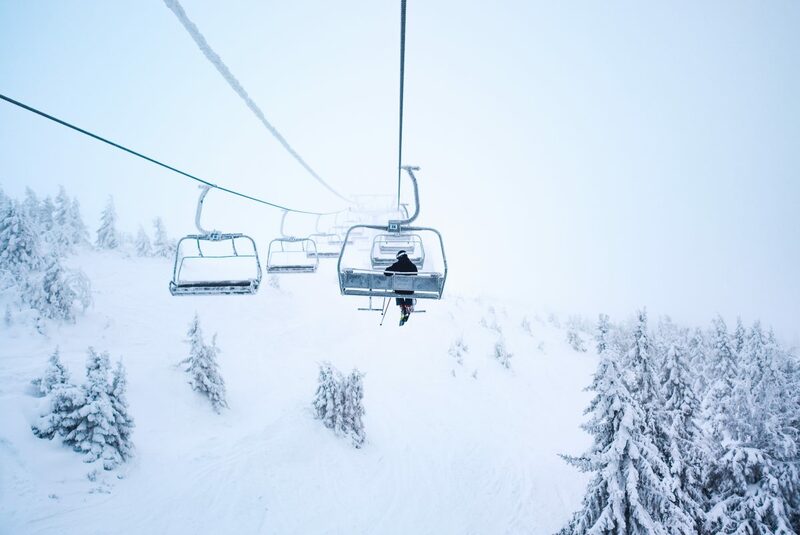 After that, the system enabled accurate and continuous measurements to be carried out reliably, continuously and in real time to monitor the ski elevator whose integrity is crucial for the ski resort. Since then, both the customer and the Nome’s expert were able to monitor the condition of the equipment constantly. According to the site operator’s first estimate, the failure could be an electric motor bearing damage, but no spares are readily available. Nome used nmas-Simple to measure the vibration spectrum of the motor. vibration spectra contain abundant data to diagnose common problems. Even small flaws will be easily detected by Nome specialist. Using nmas-Simple, the assumed bearing fault development was not existing and no other critical faults were found. The only deviation was the 300 Hz vibration caused by electrical interference. In addition,nmas-Simple’ s trending features also stated that the elevator could maintain operating during the season under expert’s remote monitoring. Since the resort operator took the safety of their guests very seriously. As requested, Nome’s experts visited the resort a few days later and provided a comprehensive on-site checking on the elevator for possible mechanical and electrical faults. A detailed report featuring data-analysis, conclusions and the corresponding preventive and corrective maintenance advice was delivered to the client, according to the data-analyses, such as spectrum and trend analyses. The elevator could operate normally under Nome expert’s remote and continuous monitoring on daily basis. In order to minimize costs and risk, Nome’s expert issued a daily report. Correction maintenance was suggested only before next skiing season. The nmas-Simple conducted effectively real-time and continuous monitoring of accurate and relevant measurement points. It can provide detailed knowledge of the operating conditions and functioning state of the elevator, anticipate the risk of catastrophic failure and eliminate the costs of corrective maintenance measures. This agility offers an optimal management of the ski resort and the service provided.